I am taking a break from making Christmas cards.... Katzelkraft recently came out with this beautiful jellyfish stamp, called Meduse and I tried to capture the ethereal beauty of those creatures. 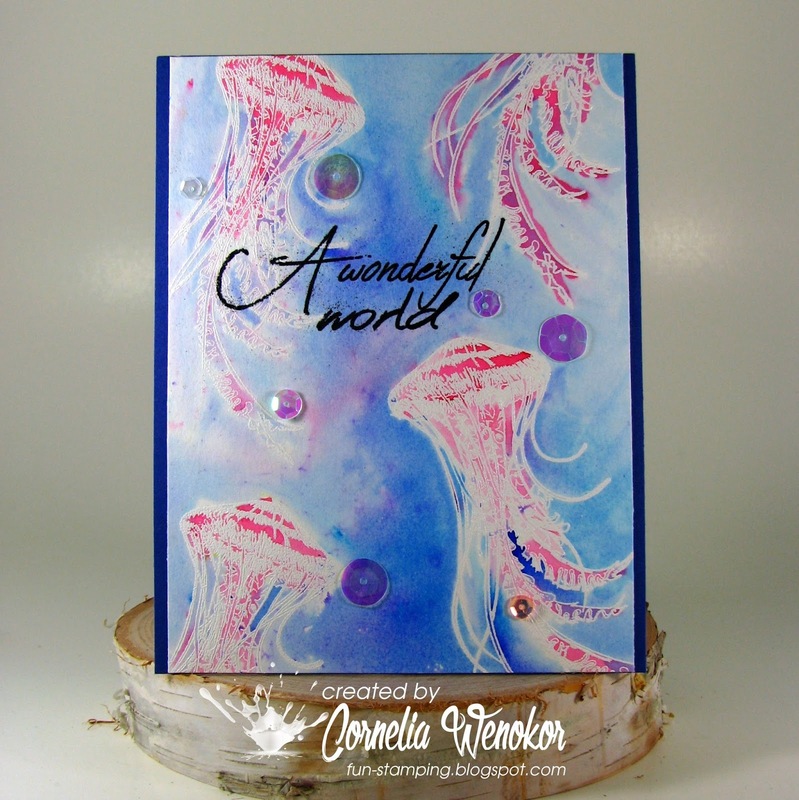 I heat embossed on water color paper in white and used a tiny amount of Color Burst crystals to color the jellyfish. The background I did with Brushos and a generous amount of water. Added the sentiment - it is from The sentiment is from English Quotes and some sequins. Sie wirken richtig anmutig, du hast sie perfekt erfasst! Wow! This is fantastic! That is such a unique jelly fish stamp and your vivid colors really stand out! As always, thanks for sharing with us at Inkspirational! 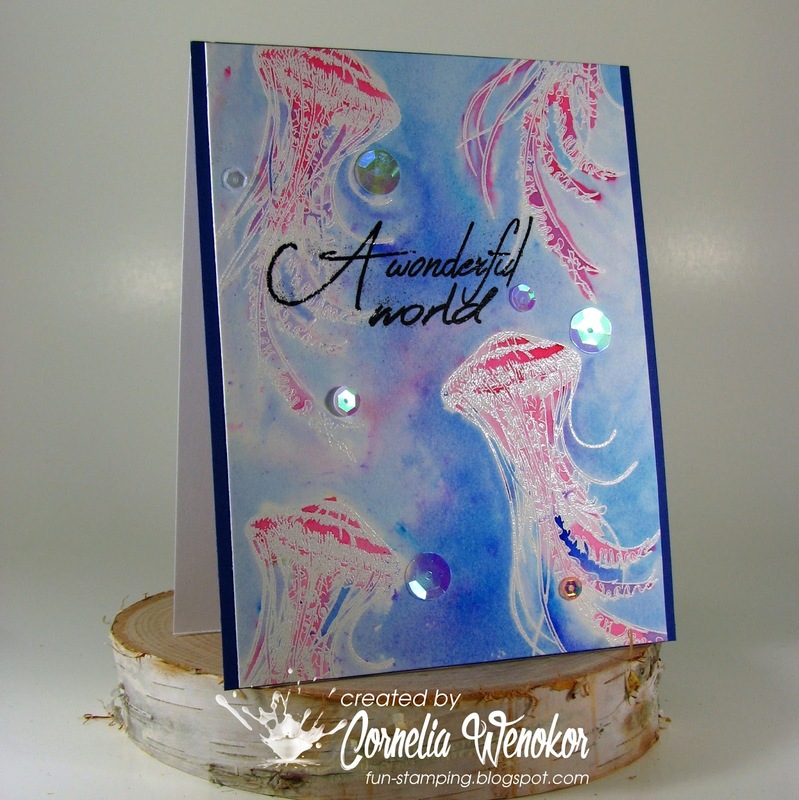 There is so much movement in your card, Cornelia, and the colors are fabulous. You've captured the fluid movement perfectly! Wow ! That's a very impressive card ! What a cool image and great design! 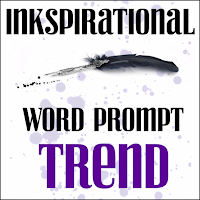 Thanks for sharing your card with us at Inkspirational!